This is the River Cardoner today, flowing by the church that was built over the cave in which St. Ignatius prayed. Ignatius Loyola went through a conversion experience while he was recuperating from battle wounds. However, the transformation was not over. In fact, the most critical months were ahead of him—months that would prepare him for the life to which God was calling him. After Ignatius laid down his sword before Our Lady of Montserrat, he traveled down the mountain to Manresa. There, a woman named Inez Pascual, who would remain a friend throughout his life, showed him a cave near the Cardoner River. Ignatius spent roughly nine months in this cave, praying and laboring in his soul to know God and follow God’s will. These were not easy months—in fact, Ignatius’s grief, shame, and guilt over past sins nearly drove him to suicide. He practiced severe penances and might have ruined his health for good had it not been for Inez and others in the town who cared about him and urged him to more balanced practices. As he was going through all of this, Ignatius began to write down what he was learning about the spiritual life. His extended experiment in prayer taught him much about how God deals with human beings—meeting them, in love and mercy, in the midst of real life. Ignatius’s months of praying and writing produced what became the Spiritual Exercises. These principles and practices of prayer have changed lives across the globe for five centuries now. But they began in a cave—in sorrow and tears, praying and fasting, listening and writing. When his time in Manresa was done, Ignatius embarked on a pilgrimage to the Holy Land, planning to serve God there. But this was not to be; the political situation was dangerous for Christian pilgrims, and Ignatius left after only a month. He returned to Spain and discerned that he must obtain an education, so that he could help teach and assist people spiritually with the approval of the Church. He studied in Barcelona, and eventually Paris, where he met a few other like-hearted men who joined his mission of “helping souls.” In 1537, Ignatius was ordained a priest; he and his companions formed the Society of Jesus in 1539, which Pope Paul III approved the next year. 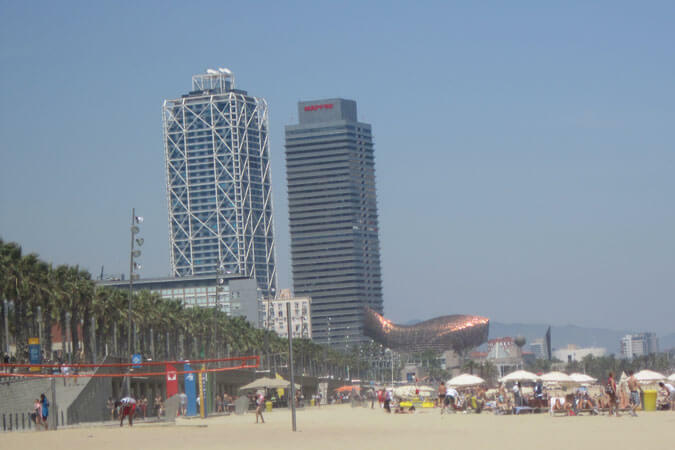 Present-day Barcelona is busy, full of commerce, artists, and learners, much as it was when Ignatius went there to study. We need to remember that Ignatius’s spiritual path was not a straight line and that a few times he thought he knew God’s course for him but discovered that his life was in fact being led in a different direction. He arrived at his wisdom for the Spiritual Exercises after much time and prayer—and suffering, along with the joy of discovering the depth of God’s mercy and love. I like Ignatius’s story because it’s not in a straight line. He is so human and fallible and yet willing to learn and change—that’s the kind of person I hope to become. What Prepared You for Your Ministry? 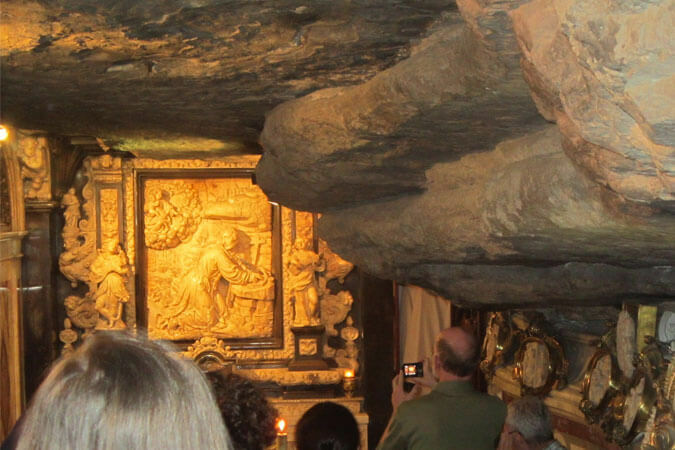 Here is the cave at Manresa, although it didn’t look like this when Ignatius used it! Christians have honored his memory by much decoration. Every Christian participates in ministry of some sort; in fact, a huge portion of the Church’s work today is done by laypeople. St. Ignatius was a layman when he wrote the Spiritual Exercises, and he and his Jesuit companions gave spiritual direction to laypeople as well as those with religious vocations. What kind of spiritual formation prepared you for the ministry you have today? What life events informed you spiritually? What suffering helped you learn to pray or trust or persevere? What revelation, learning, or inspiration gave you the energy and joy to continue your life with God? 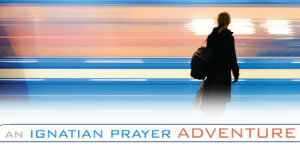 What combination of factors brought you to a willingness and desire to discover God’s calling for your life? Pray for understanding your calling and being open to what you can become. Why Make the Spiritual Exercises? Very thoughtful reflection and great questions. Thank you. Thanks Vinita Hampton Wright. Nice reflection and a bit of history. Laying down a sword is a noble thing. Picking up another sword is no good. Saint Ignatius of Loyola – Pray for us. Dear Vinita, thank you once again for your thought-provoking words of wisdom. A.M.D.G. As usual Vinita, your writing is inspirational. I have no idea what kind of spiritual formation prepared me for the ministry I have today. After my son died and it became necessary to downsize, an odd thing happened in that we found ourselves picked up and plunked down in the new city in which we live, something I believe was a divine intervention. The freedom here, the beautiful outdoors, the lovely people — tell me I’m wrong. So I have a “mission” here among older, retired folks, some who live alone, some who have lost a spouse or child, some who are very old according to the calendar but so young at heart and so open to new experiences….I could go on and on. Whatever it is that shaped me when I went to daily Mass as a child I don’t know, but I had a vision of myself kneeling before the Sacred Heart with Margaret Mary Alaquoque alongside me, and Jesus promising me a spot in Heaven with Him and the rest of the Trinity. I grew up thinking this was all in my imagination and didn’t mean a thing. But now I wonder…. Thanks for this reminder. I still don’t know who I am or what I am to do, but I am HAPPY and at PEACE in ways I never was before. God really loves me. By the way, thank you for Days of Deepening Friendship. You are a great spiritual director. Helen, thanks so much for posting. As to who you are these days–you are God’s Beloved, and that’s all that matters. The Holy Spirit will make a way for you, wherever you are, and already you have demonstrated a blessed openness to change and adventure. Blessings on this time in your life! As a student of Ignatian Spirituality for 15 years I never tire of hearing the story of Ignatius life retold. Last month I visited the Abbey at Montserrat and it felt good to be in the place where a man changed his life and in so doing changed the world as well.